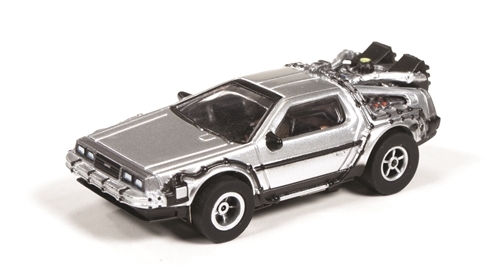 Who out there doesn’t long to take just one gigawatt blastin’ spin in the awesome Back to the Future Time Machine? 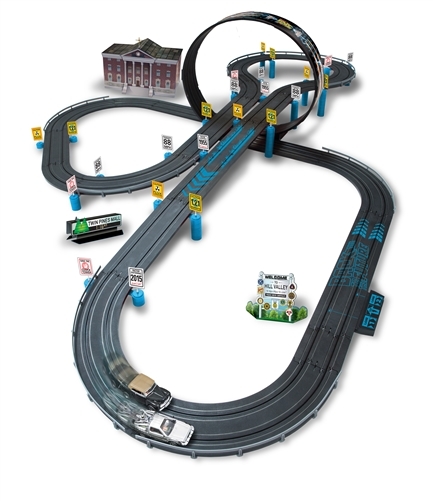 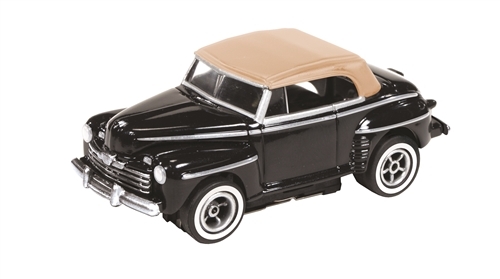 Now you can relive all of the g-force excitement of time travel as you race around the huge 20-foot track with Marty McFly and Biff Tannen, in one of the 2 exclusive X-Traction® slot cars included in this set. 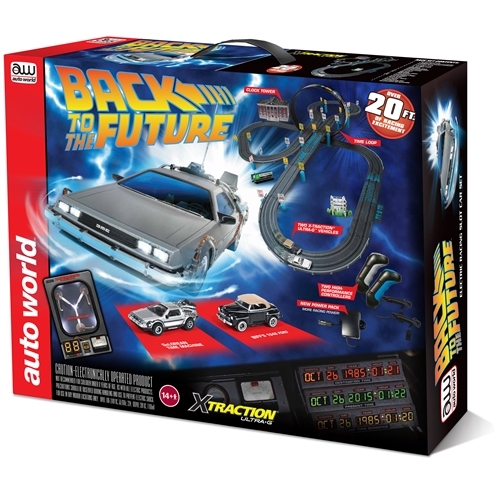 “Great Scott” a race-set this exciting could only be invented by those mad scientists at Auto World.